Meet Dr. Glen T. Cameron. Dr. Glen T. Cameron is a professor and the Maxine Wilson Gregory Chair in Journalism Research at the Missouri School of Journalism. 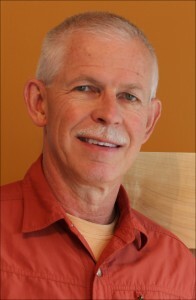 He also is founder and co-director of the Health Communication Research Center at the University of Missouri. Dr. Cameron is this year’s recipient of the “Milestones in Mentoring” Educator Award. This award goes to educators who have been instrumental in mentoring students and future educators. This award is named in honor of Dr. Bruce K. Berger, an exceptional public relations leader and educator. Dr. Cameron shares his role and advice to mentees. I have experienced many walks of life in and outside academia, but the most important work in my own mind has always been to teach and mentor. As a Little Leaguer, I was lucky enough to get a summer job as an assistant coach for Pee-Wee Baseball. I was hooked on coaching at that point and never relented. I make myself available in large blocks of the week and from my office, I serve as a cheerleader for discovery and a door-opener for an opportunity. I have to be honest and say it has been the sheer number of mentees. But over time, my Dean and Graduate Dean have recognized mentoring as my major contribution to building a program in public relations at a school historically known as a bastion of news reporting. Believe in your student’s ability to step up and work independently with close guidance. Put another, don’t take work away from students and then do not take credit for their success. Ironically, academia can be a lonely place involving solitary work in the midst of thousands. One counterforce to that isolation is to seek and develop a trusting relationship with a mentor. In lofty terms, it is truly a calling – what I was meant to be. Day to day, the relationships with students drive me to grow along with them so that they succeed. Take your work seriously, but do not take yourself seriously.